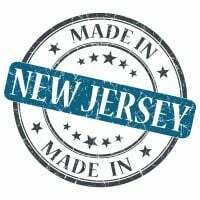 New Jersey Skilled Nursing Facility Liability Insurance. As a skilled nursing facility (SNF), you provide an invaluable service to the patients that you care for. You go above and beyond to employ highly trained, experienced professionals, and you go above and beyond to adhere to all protocols. After all, your goal is to provide your patients with the best possible care. NJ nursing homes provide care for those unable to care for themselves, including the elderly, those recovering from illness or injury, and those with long-term or chronic illnesses or disabilities such as Alzheimer's. The facility may offer diagnostic tests, physical or occupational therapy, or short-term facilities for those whose needs are temporary. Medical assistance is available 24 hours a day. "Skilled care" homes provide around-the-clock physician and nursing care for patients who reside on the premises. "Intermediate care" homes have medical facilities and services available, but patients are able to provide a degree of care for themselves and do not need around-the-clock attention. "Personal care" homes provide boarding facilities and access to medical attention for patients who are ambulatory. Nursing homes must be licensed by the state of New Jersey to legally operate. But what happens if something goes awry? What if an employ makes a mistake that results in the mistreatment of a patient? What if a family member who is visiting their loved one who is residing at your facility slips and falls on the premises? What would you do if an employee was injured while he or she was on the job? In any of these types of situations, you could be looking at serious ramifications that could have the potential to cause financial ruin. In order to protect the residents, third-party visitors and vendors, your employees, and yourself from possible perils, it's important to carry the right type of New Jersey skilled nursing facility liability insurance coverage. New Jersey skilled nursing facility liability insurance protects your nursing home from lawsuits with rates as low as $187/mo. Get a fast quote and your certificate of insurance now. While a skilled nursing facility (SNF), also known as a nursing home, is an invaluable resource for the patients that you treat and their loved ones, at the end of the day, this type of facility is a business. Just like any other type of business that works with clients, deals with the public, and employs workers, there are a number of possible perils that you could end up facing. These are just a handful of the types of liabilities that a nursing home has to contend with. In the event that an incident arises, you could be looking at a serious financial crisis. For example, if a client files a lawsuit against your facility on the allegations of mistreatment, you could end up having to deal with legal costs, crisis management to undo any damage to your reputation, and settlement fees that you might have to pay if you are found liable. With the right type of New Jersey skilled nursing facility liability insurance coverage, however, you can protect yourself from financial devastation. Commercial General Liability: This type of policy will safeguard you from third-party accidents, injuries, and lawsuits. For example, if a third-party is visiting a loved one at your facility trips over an extension cord that is not clearly marked on the floor and he or she sustains an injury, your commercial generally liability coverage would help to pay for the necessary medical care that the individual would require, as well as any legal feeds that may arise. Commercial Property: Just like any type of business, there's a chance that your NJ nursing home could be damaged. A tree could fall on top of the building, a fire could break out, or someone could vandalize your facility, for example. Commercial property insurance would cover the cost of repairing your facility, and would repair or replace any of the contents inside the facility that were damaged. Professional Liability: As a NJ skilled nursing facility, employees work directly with patients to provide them with the care that they need. Should a nurse administer the wrong medication, or if any employee intentionally harms a resident, you could be looking at a serious lawsuit. Professional liability insurance provides coverage for issues like neglect and errors that end up harming your patients. Workers Compensation: Depending on where the facility is located, you will likely be legally required to carry workers' comp coverage. This type of insurance is mandatory in most states, and it protects employees in the event that they suffer a work-related injury or illness. Workers comp insurance covers the medical bills, lost wages, and lawsuits that could be associated with an employee-related incident. Premises liability exposure is extensive due to the large number of visitors to the premises and the impaired physical mobility of patients. Public and life safety code compliance is very important. Excellent housekeeping is required to reduce the number of trips, slips, and falls. Spills must be cleaned up promptly. Hallways, rooms, and recreational areas must be orderly and well maintained. Stairways, elevators, railings, and floor coverings should be in good condition. Exits should be clearly marked and free of obstacles. Adequate interior and exterior lighting should be available in the event of a power outage. Steps must have rails, be illuminated, marked, and in good maintenance and repair. There should be a temperature-monitoring device in all bathing and showering areas to prevent scalding. Parking lots should be maintained free of ice and snow. A major concern in the area of patient safety is the type of backup facilities available for power outages and loss of normal utilities. Emergency evacuation procedures are important and should be reviewed on a regular basis. Emergency generators should be in place, checked and maintained periodically. Should an emergency situation arise, there should be evacuation plans in place to quickly move patients to a safe area. Security at the facility, as well as in the building, corridors, and any owned parking area needs to be carefully checked and reviewed, as the facility may be held liable should a patient or visitor be attacked on the premises. Personal injury exposures include discrimination, invasion of privacy, and wrongful eviction. Having the right New Jersey skilled nursing facility liability insurance is very important here. Maintaining a patient's privacy is critical. Examination rooms, check-in and checkout stations must be in private areas so one patient cannot view information or overhear conversations regarding another patient's confidential information. Inappropriate touching and sexual misconduct must be considered. Background checks should be conducted before hiring any employee. The nursing home should be accredited and operate within the guidelines of that accreditation. If it is on probation, there should be active plans to comply with open recommendations to be taken off probationary status. Environmental impairment exposure is significant due to the potential for contaminating the air, ground, or water supply by improperly disposing of medical waste, including contaminants such as hepatitis B or the AIDS virus. Disposal must be documented and meet all FDA and EPA standards. Professional liability, medical malpractice, and directors and officers exposures are high. Staff turnover is high, disrupting continuity in patient care. The exposure increases if the facility fails to conduct thorough background checks to verify employees' credentials, education, and licensing. Nursing homes should be subject to regular inspections by their accreditation organization. It should also be licensed and staffed based on federal and state requirements. The staff/patient ratio should be sufficient to provide adequate care for patients. Supervision is essential along with regular training, monitoring, and well-written and followed procedures. Patients must be informed of their rights to obtain or refuse medical care as described by state and federal law. Very serious losses may result from failure to secure patient approval before performing procedures. Access to patients' records must be restricted to those having a legitimate reason for viewing them. Patients' records must be duplicated and stored off-site. Both on-site and off-site records must be safeguarded to protect patients' right to privacy. Patient plans should be in place and followed by all staff members. Only patients who are within the appropriate level of care within the nursing home's license should be admitted and allowed to remain in the facility. There should be a formal review process in place for reviewing all incidents that may give rise to a claim of medical malpractice. Access to all pharmaceuticals must be carefully controlled, with procedures in place for the proper dispensation to patients. Finally, inappropriate touching and sexual misconduct must be considered. Having the best fit New Jersey skilled nursing facility liability insurance is vital. Workers compensation exposure comes from contact with patients, from infections, and from communicable diseases such as hepatitis, HIV, AIDS, or MRSA. Employees should have access to vaccinations to prevent diseases. Gloves and masks should be worn at all times when working around any bodily fluids. All CDC recommended procedures for handling bodily fluids must be followed. Constant cleansing with disinfectants can result in lung, eye or skin irritations, and reactions. Accidental piercings from needles are common. Back injuries, sprains, and strains can occur when assisting or lifting patients. Procedures should be in place for safely handling unruly or violent patients to minimize injury to both the patient and the employees. Slips and falls can occur from tripping over objects or slick floors. Kitchen work includes the possibility of cuts, scrapes, and burns. Since patient information and billings are done on computers, potential injuries include eyestrain, neck strain, carpal tunnel syndrome, and similar cumulative trauma injuries that can be addressed through ergonomically designed workstations. Property exposure can be extensive. Ignition sources include electrical wiring, heating, and air conditioning systems, laundry equipment, and cooking appliances. All electrical wiring must be up to code and equipment properly maintained. Smoke detectors should be installed in all patient rooms and common areas. If the NJ nursing home has been converted from other occupancies, it must meet current codes for its current occupancy, including electrical wiring, heating, and plumbing systems. If flammable gases such as oxygen are used on premises for patient care, adequate controls must be in place for patient safety. Smoking must not be permitted on premises. All kitchen grills and deep fat fryers must have fire extinguishing protection, hoods, and filters. There should be an automatic fuel shut off valves and adequate hand-held fire extinguishers. Theft is a concern, as large quantities of drugs may be stored on premises. Tight controls must be in place including, but not limited to, inventory control and limited access to the drug room. Business income and extra expense losses can be severe due to the cost of equipment, the time it may take to repair or replace a damaged item, and unavailability of backup facilities. Equipment breakdown exposures are high as operations are dependent on medical equipment being available and the property meeting requirements for elderly or disabled occupancy. All equipment should be maintained on an ongoing basis. Crime exposure is from employee dishonesty and money and securities. The potential for theft, directly or by means of identity theft, is great. Pre-employment checks, including criminal background checks, should be required of any employee with access to drugs or money. Inventory must be reviewed regularly and the drug areas must have limited access. Regular monitoring with cameras can be helpful in deterring employee theft and monitoring patient treatment. All ordering, billing, and disbursements must be handled as separate duties. Regular audits must be conducted. Money and securities can be a concern if payments are accepted on premises. Deposits should be made regularly and no money kept on premises overnight. Patients' property may be stolen by employees. Inland marine exposure comes from accounts receivables for billings, computers, medical equipment, and valuable papers and records for employees', patients', and vendors' information. Most medical equipment is now run by computers and should be covered on a computer form. Some medical equipment may be shared with other facilities or be kept in mobile care units, requiring separate coverage as it is transported between locations. Equipment in transit must be adequately secured to prevent movement during transit. Duplicates should be made and kept off site. Some homes may have extensive fine arts and statuary that should be covered under a fine arts coverage form. There may be a bailees exposure if the nursing home takes custody of the goods of patients, such as cleaning wigs or doing dry cleaning or laundry. Commercial auto exposure is high if there is any transport of patients as some may have limited mobility. If there are owned vehicles, all drivers should be licensed with acceptable MVRs. Vehicle maintenance should be ongoing and documented in a central location. Any transport for non-ambulatory patients must include supervision. To find out more about what type of insurance policies nursing homes should carry, how much coverage you need, and if there is a specialized policy that is designed specifically for skilled nursing facilities (SNFs), speak with a reputable commercial insurance broker. Request a free New Jersey Assisted living facilities insurance quote in Asbury Park, Atlantic, Bayonne, Beachwood, Bellmawr, Bergenfield, Bound Brook, Bridgeton, Camden, Carteret, Cliffside Park, Clifton, Collingswood, Dover, Dumont, East Orange, Eatontown, Edgewater, Elizabeth, Elmwood Park, Englewood, Fair Lawn, Fairview, Florham Park, Fort Lee, Franklin Lakes, Freehold, Garfield, Glassboro, Glen Rock, Gloucester, Guttenberg, Hackensack, Haddonfield, Hammonton, Harrison, Hasbrouck Heights, Hawthorne, Highland Park, Hillsdale, Hoboken, Hopatcong, Jersey, Keansburg, Kearny, Kinnelon, Lincoln Park, Linden, Lindenwold, Little Ferry, Lodi, Long Branch, Madison, Manville, Metuchen, Middlesex, Millville, Morristown, New Brunswick, New Milford, New Providence, Newark, North Arlington, North Plainfield, Oakland, Ocean, Palisades Park, Paramus, Passaic, Paterson, Perth Amboy, Phillipsburg, Pine Hill, Plainfield, Pleasantville, Point Pleasant, Pompton Lakes, Princeton, Rahway, Ramsey, Red Bank, Ridgefield Park, Ridgefield, Ridgewood, Ringwood, River Edge, Roselle Park, Roselle, Rutherford, Sayreville, Secaucus, Somers Point, Somerville, South Plainfield, South River, Summit, Tenafly, Tinton Falls, Totowa, Trenton, Union, Ventnor, Vineland, Wallington, Wanaque, West New York, Westfield, Westwood, Woodbury, Woodland Park and all other cities in NJ - The Garden State.